The two models cover the launch conditions required by all player types who will likely experience an increase in ball speed and overall distance. Grey line on the crown is distracting. High-pitched sound of the Sub Zero model won’t be to everyone’s taste. Relatively limited adjustability. 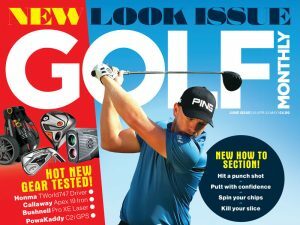 This product is featured in: Callaway Epic Flash Named Longest Driver In American Golf Battle Of The Brands, 2019 Callaway Apex Irons and Hybrids Revealed, and Callaway ERC Soft Headlines New 2019 Ball Range. The Callaway Epic Flash drivers represent a first in golf, specifically the Flash Face that used a super computer and machine learning to create a more efficient design. You can read all about the technology here. But does it work? Well we tested both the Epic Flash and Epic Flash Sub Zero models on the Foresight Sports HQ using a reputable premium golf ball in the stock Project X HZRDUS Smoke 6.5 shaft. We first hit some shots with our Rogue Sub Zero model in the setting we use it in out on the course – 9° of loft with the heavier weight at the back for more forgiveness – to provide a comparison. Before we talk numbers, lets assess the looks. Both have a green and yellow colour scheme reminiscent of the Jamaican flag. This is not necessarily a bad thing; it certainly catches your eye from afar. At address, the standard model is noticeably longer from front to back than the Sub Zero – nothing new here. But what is new is the lack of Speed Step and the grey line just behind the front of the crown. It’s purpose is a mystery to us – it’s curved, so doesn’t help with alignment (if anything it makes it harder) and nor does it represent a step in the crown. Personally, I don’t think it adds anything useful and would rather it was removed – I’ve heard some tour players think the same. The graphics on the face do help position the ball centrally and otherwise it’s pleasing on the eye. Strike a few away and you notice the sound is different too. On the standard Epic Flash, it is noticeably louder and higher pitched than the Rogue. Move into the Sub Zero model and this becomes even more exaggerated. It’s very loud and has a very high-pitched ‘ping’ sound that does take some getting used to. It’s fair to say that it won’t be everyone’s cup of tea. Performance wise, you’ll see we did experience an increase in ball speed when switching from the Rogue SZ to the Epic Flash. This increased further when we lofted down and even further still when we switched into the Sub Zero model. In fairness, our clubhead speed was increasing all the time too but nevertheless, we hit two shots with 161mph ball speed – something we’ve rarely experienced before. The average carry of 284 yards was also very encouraging, with one shot carrying 290 yards. The Epic Flash gave us some smash factor readings in the region of 1.48, which is startling efficiency given we averaged 1.43 with Rogue SZ and the Epic Flash Sub Zero. This suggests there are some gains to be had by upgrading, although with a like-for-like club speed they’re likely to be marginal. Like with the previous generation of Epic, the standard model launches higher with more spin – suitable for the slower swing speed player. For our swing speed of 111mph on average, the Sub Zero was comfortably the best-performing model. This is the first time a sliding weight has been put on a Sub Zero driver and if shot shape is something you like to accentuate or negate, you will welcome the addition. I personally prefer front-to-back adjustability found on Rogue, switching from low spin/forgiveness to high spin/forgiveness depending on how I’m swinging it. Rogue is an excellent driver that stays in the range for 2019 and actually has a higher MOI than either of the Epic Flash drivers, so Rogue users likely won’t see a huge benefit in switching but if you have a GBB Epic model or older you’ll likely experience a fairly significant jump in ball speed and overall performance. On and around the sweetspot, the Epic Flash drivers are fast and certainly seem to be the longest Callaway driver to date after dialing in the head, shaft and loft combination. The Epic Flash combines distance and forgiveness for the average player, while the Sub Zero model provides the stronger, low spin flight better players demand with off-centre assistance noticeable too.